See what other customers say about Roof Stain Cleaner QSE and Roof Mold Cleaner OX. Easy to use Roof Cleaning Products: Roof Cleaners QSE and OX. Remove roof algae, mold and mildew stained black streaks from shingles and roof tiles. 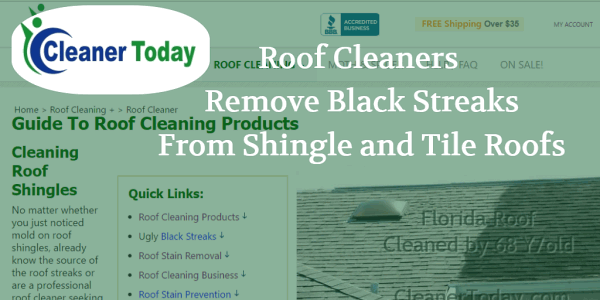 Easy Roof Cleaning Kit: Shingle Cleaner & Equipment. Free Shipping Included.